It’s Jack here, BASE founder and CEO. Diet and nutrition is a topic that I’ve been very interested in ever since I got into the fitness industry 8 years ago. Over the years I’ve done many dietary experiments including trying out veganism, juice fasting, dairy-free and grain-free diets. This has really helped me to understand my body and what works well for me. As I became more interested in food and its profound effect on our health, I did the Precision Nutrition Certification to learn more about the science and coaching side of good nutrition. If you spend any time in the UK, Australia or the US the scale of the obesity epidemic is easy to see. Obesity is quite clearly on the rise and sadly it’s often the poorest people in these countries that suffer from this. Even as little as 60 years ago, things would have been quite the opposite – less money would have meant less food and slimmer waistlines and in centuries gone by being overweight was a sign of wealth and health. So how can this be? How can society’s poorest also eat the most and have the largest waistlines? The answer is complex, but there is one thing that’s contributed heavily – processed food. It’s cheap to produce, cheap to buy and even if you’re living on government benefits it’s still very possible to become obese from it. Processed food is, by my definition, food that has been altered from its natural state by a man-made process. The more different it is from its natural state, the more processed it is. 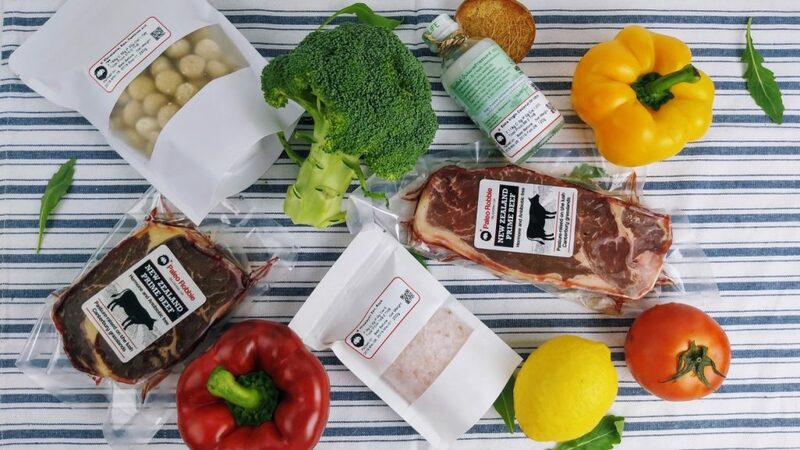 Don’t get me wrong, processed food does have a place and its advantages, such as longer shelf life and the ability to help feed a growing population. Including some processed food in your diet is fine and realistically it’s pretty hard to completely avoid any food that’s gone through any kind of process, unless you live in the Amazonian jungle. However, processed food has some major drawbacks that I believe are closely linked to the obesity crisis. Many of the ingredients in processed food end up making you more hungry rather than filling you up like whole, unprocessed foods do. When consuming a largely processed diet, our hunger cues that tell us we’re full don’t work quite as well and you often end up craving more and more of these ‘junk’ foods. What’s the solution to this? On a mass scale, it’s a tough and complex issue and it’s going to take decades to start to reverse. It requires government action, education to the masses and probably some co-operation from the giant food companies (yeah, right!). On a personal level, the solution is simpler – eat more real food. Real food means food that is found as it appears on planet earth. It typically has one ingredient or a list of simple, recognizable ingredients. Think organic meats, nuts, fruits, vegetables. Is it still possible to become obese from eating only real, whole foods? Yes, but it’s pretty damn hard. It’s also possible to maintain a healthy weight from eating nothing but processed garbage, but that’s also very tough as you’ll lacking a lot of essential nutrients needed for optimal living and you will find it hard to keep hunger and cravings at bay. 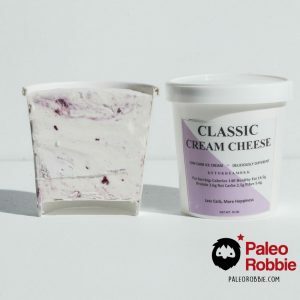 For this, I’ve used Paleo Robbie for the last 5 years for both meal delivery and their ‘primal’ grocery store which has got everything I need to cook healthy meals at home and stock up on real food snacks. Do I eat real food all the time? 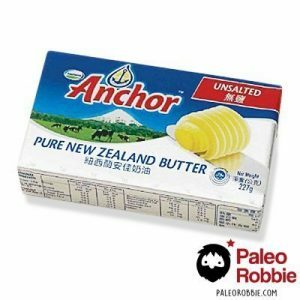 Of course not – I like cheesecake, burgers and beer as much as the next guy, but by aiming for 80-90% real food consumption I find it quite easy and comfortable to eat reasonable amounts of food without binging or succumbing to cravings, which keeps my diet largely in check without ‘being on a diet’. I was always told not to start with dessert, but I’m going to rebel today. 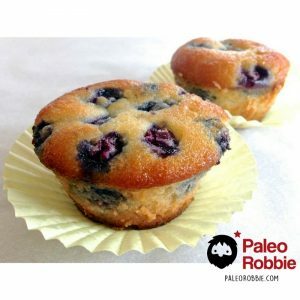 These paleo-friendly muffins allow for a guilt free indulgence but remember – just because they’re made with quality ingredients and no added sugar, this does not mean you can eat as many as you want! It’s not really fair to choose be made to choose my favourite steak, but that’s what I’ve done. 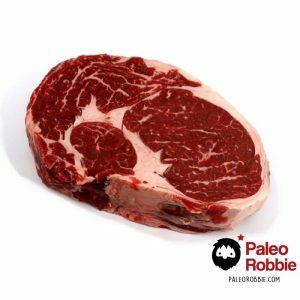 Paleo Robbie has a selection of fine steaks but this one tops it for me. Supermarket avocado prices seem to go up and down each day, so for a more steady supply of my favourite smoothie and brunch staple, I find it easier to order them in. I’m a big fan of nut butter. I put it in smoothies, in yoghurt (yes, it works) and if I’m feeling really indulgent, I’ll eat it like ice cream. 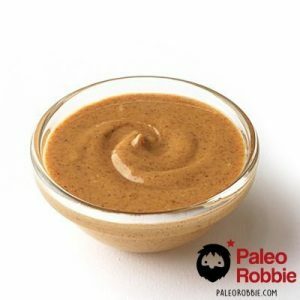 Like steaks, choosing a favourite nut butter is tough, but I’ve gone with almond. Chickens are often kept in horrendous conditions which is cruel and also hugely affects the quality of the meat. 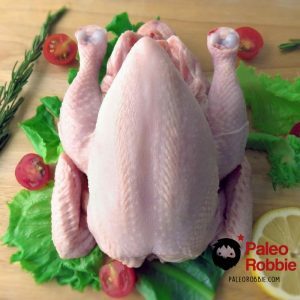 Paleo Robbie chickens are truly free-range with natural feed. Choosing my favourite coconut product is another toughie – you’ve got oil, meat, milk… it’s like asking to choose your favourite child. 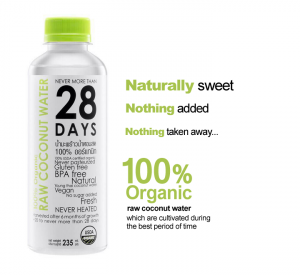 After deep consideration, I’ve gone for beautiful, refreshing coconut water from 28 Days in a one-per-day week pack. For me, no paleo list would be complete without bacon. 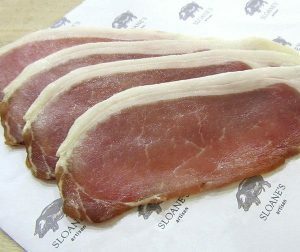 I’ve been a big fan of Joe Sloanes’ meats for years and highly recommend their bacon which is some of the best available in Bangkok. 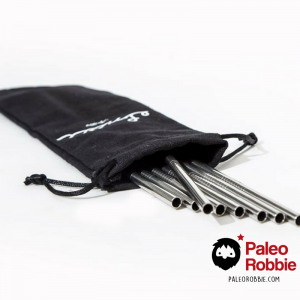 We’ve adopted metal straws for our new BASE Fuel Bar – keep one of these in your bag to help reduce the insane amounts of plastic waste that Thailand churns through each year. If I get a chance to put a wine on a healthy eating list, I’ll take it. 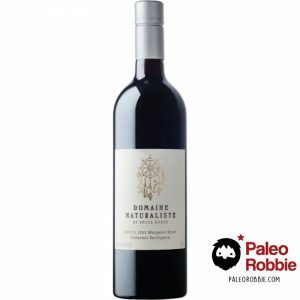 Paleo Robbie has a selection of organic wines – I’ve gone for my favourite red. Drink the occasional glass for a paleo-approved treat. Necking two of these on a Friday night is not advised… Or any night for that matter. Grass-fed butter is a must have for cooking, spreading or bullet-proof coffe. It’s a tough little thing to find in Bangkok but uckily it’s available on the grocery. I started with dessert and I’ll finish with it. I don’t think healthy ice cream needs a hard sell to be honest, so I’ll end with just another reminder that quality ingredients does not mean you can consume two tubs of the stuff and get away with it. ‘Just eat real food’ is a nutritional principle that has served me and my clients well. Ask yourself – would my great-great-grandmother have eaten this and if the answer is yes, you’re probably on the right track. 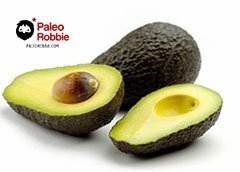 BASE and our partners over at Paleo Robbie are passionate about the movement towards healthier lifestyles so please contact us with any questions or queries and we’ll do our best to help out!